Discipline is required to do anything properly. To be good at something means investing time and effort to practice, learn and be able to apply the desired skills. This is especially true of martial arts. The beauty of firearms, which is a martial art, is that you don’t have to spend a lifetime of training/practice to use them skillfully. But, since firearms are tools, it does take discipline to learn how to use them effectively. It takes discipline to attend training. The majority of skills required to fight with firearms go against our natural instincts, so training to learn the required skills is a must. Most of us have to budget both time and finances to attend training. I planned and saved for a year to attend my first “official” training course. It was worth every minute and dollar. One must be disciplined to practice. A structured program is necessary to achieve the repetitions necessary to truly learn a skill to the point it can be performed at a subconscious level. 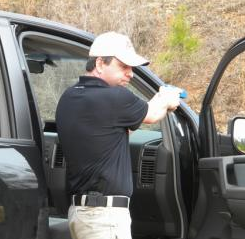 Dry practice your skills multiple times a week, even if it’s only for ten or fifteen minutes at a time with a “blue” gun. 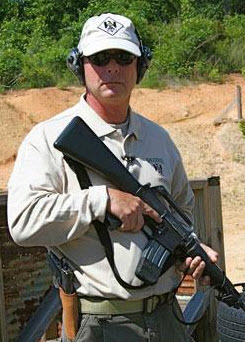 Resolve is mandatory to insure your live-fire range sessions don’t end up with lots of shootin’ but very little learning occurring. You have to commit to carrying your weapon at all times – when and where it’s legal – even if it’s only to the mailbox and back. You decide to modify how your dress for concealment purposes, or accept the fact that the type pistol you carry is dictated by the clothing you wear. Either way it takes discipline to figure out what and how you are going to carry and then earnestly practice it. When carrying you practice self-control. You realize that getting involved in a “simple” verbal confrontation could turn into a lethal situation. You’re determined to use your weapon only if absolutely necessary. Self-discipline is mandatory for anyone carrying a lethal weapon. In a lethal confrontation discipline is required to properly respond to the threat. If you don’t maintain control all you’re doing is reacting to what’s happening to you as opposed to controlling your actions and forcing the threat to react to you. When something goes wrong or doesn’t work out quite how you thought it would, a common occurrence during violent encounters, you must respond to the unexpected with a controlled response. 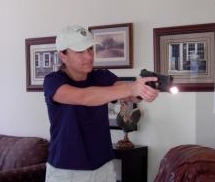 In a violent situation when you are forced to shoot, there can be no hesitation. There are no other options available, the choice is either use your weapon or be seriously injured or worse. “This is not a drill.” Your sole purpose at that point in time is to stop the threat as efficiently as possible. The discipline to do what needs done must be absolute. Discipline is something that is lacking in our society in general, and in most shooters specifically. Today, change your attitude, ’cause when it comes time these skills will be the difference between life and death. Concerning the recent shootings in Colorado, Peter Ahearn, a former FBI agent, stated, “There’s no way you can prevent it. There’s absolutely no way,” he said. “It was random. It happened. There was nothing that could have prevented that unless someone saw him loading his car with guns.” (AP article by Eileen Sullivan) Apparently the shooter had been planning this attack for months, buying and collecting equipment. He chose the time and location with the intent of injuring as many as possible. There will be endless debate and coverage of this tragedy. There will be calls for stricter gun control, banning “assault” weapons and high capacity “clips,” and speculation on what was going on in the shooter’s mind. The lessons for us are different. The bad guy knows when, where and how the attack is going to occur. We prepare, or you should with training and practice. Just remember that you need to work on more than just shooting. A background on unarmed techniques is good. With a little knowledge it isn’t that difficult to take down an armed opponent, especially one who doesn’t know anything about fighting. The most difficult thing is the mental aspect of responding to a threat. Normally when the time comes you only have a matter of a few seconds to go from having an enjoyable evening with the family into response mode. This part of the process, mentally shifting gears, is one of the most difficult things to achieve. The main key to being prepared is to stay aware of what’s going on around you. There are almost always warning signs. Sometimes they are almost insignificant, and if you’re not paying attention you will miss them. When anything out of the norm occurs it should pick up on your radar. Many times it won’t be anything, but you can’t afford to miss the small thing because small things can lead to big trouble. Staying aware of your environment provides you with time to respond. The response may be to avoid or escape, or to react with force. Regardless of what you’ll need to do the key is to prepare in advance. Are you ready and willing? Now is the time to make those decisions. One of the major requirements for a pistol is that it fit your hands properly, which means the pistol is easy to operate – shooting accurately and performing manipulations efficiently. Since fighting is an art, there is science involved but the application is definitely an art, you may need to modify your weapons, especially pistols, to fit you. 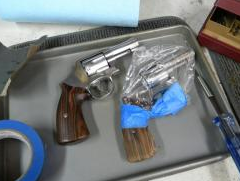 Some sandpaper, files, and a trusty high-speed rotary tool with plenty of attachments can take you a long way to making a pistol truly yours. A lot of people are timid when it comes to working on their pistol, and there are some who definitely should not be allowed near any type tools. If every time you attempt to work with tools it goes badly, then just acknowledge this and find a buddy who can help you out. But with a little bit of skill and the proper tools, which are mandatory, it’s a simple job to reshape a contour or smooth off a sharp edge. We’re not talking about a precise task like a trigger job; all we want is to work on the externals of the weapon. Also I wouldn’t be too worried about what it looks like. My main focus is on function. My “twins,” stainless S&W Model 65’s, have seen a lot of work on their outsides. The front of the trigger guards have been narrowed slightly using a sanding drum and polishing wheels in my rotary tool. This allows me to get my finger on the trigger efficiently. I polished the edges of the triggers so they have a radius and feel smooth on the finger. A cutting wheel removed the hammer spurs, and with lots of sanding and polishing they ended up looking nice. I spent a lot of time with a belt sander and hand sanding getting the Ahrends’ stocks to feel just right in my hands. The 1911 I carry most often, which was built by Ted Yost in the mid 90’s, saw a lot of sanding and filing on sharp edges. Every time I would finish a class I hit the bench to remove the areas that wore on my hands after sending a few thousand rounds downrange. Now I can run it for days and never get a worn or raw spot on my hands. On the internet there are literally thousands of videos on “how-to” almost anything. Just remember it’s the ‘net, so research and confirm anything before trying it for real. A test pistol is good to have. Prior to working on the “twins” I bought an old blued Model 10 to practice on. 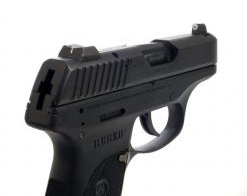 Don’t be afraid of performing modifications to your handgun to make it fit you. For your weapon to feel like an extension of you body, and since each individual is unique, you’ll need to make your pistol fit. The same goes for all your gear. Everything you use should support your mission, not hinder it. Take a minute, close your eyes, and vividly imagine you’re being attacked. It’s a familiar location – the office parking lot, outside a friend’s house or in your car. Suddenly you’re attacked. In as much detail as possible see what the threat looks like in your mind’s eye. Do this now, and then read on. What did the threat look like? As they create this scene in their mind most people will have a preconceived notion of what type person they’ll be attacked by. The truth is almost anyone out there, like an eight-year old child or an elderly adult, could be a threat. This is important, because when someone attacks you and the threat’s appearance is unexpected, it could cause you to hesitate. When you imagined your threat was it someone you know? Imagining being attacked by a friend or family member isn’t pleasant to think about, but the data indicates that in a majority of violent confrontations the adversaries know each other. A 2001 study by the Justice Department and Centers for Disease control and Prevention discovered that in eighty percent of violent confrontations the victims knew their attackers. The threat may be a close friend or family member. De Becker, in The Gift Of Fear, states, “Many young murderers kill within the family…” Being attacked by a person you know is a strong possibility. Once someone decides to attack you his or her personal identity is no longer a factor to consider. 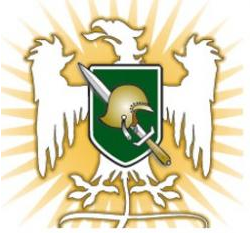 A person with the ability to cause you or another person serious bodily injury or death and who is displaying intent to act has crossed the Rubicon. That person is now a threat. Your job is to stop the threat. Verbal commands, creating distance, and using cover – whether they have a weapon or not – may change their mind and solve your problem. Or not. A real danger to be aware of is not objectively acknowledging a known threat’s intent and capabilities. Knowing them and thinking they would never do such a thing, or that you have the ability to influence their actions, could cause you to underestimate their potential for violence. If the threat is normally extremely stable and suddenly begins acting dangerous then the worm has definitely turned for them. They may no longer care one bit for what you think or say. A known threat may also attempt to use their relationship with you as a manipulation tool. When someone is acting dangerous they should be treated as dangerous. You’re not a mind reader, so it’s always better to play it safe. Obviously there are people you know well and recognize that they will never put you in a bad situation. Then there are those you know and realize they could potentially present a problem, especially if alcohol, drugs, or mental instability are plugged into the equation. The key is to stay aware of those around you, just like we always do, and constantly be ready for the unexpected. According to documentation in over fifty percent of violent confrontations that occur there is more than one threat involved. By grouping together, threats gain an advantage both physically and mentally. To be prepared for the realities of fighting training and practice in dealing with multiples is required. Upon sensing a potential problem you should immediately check for additional opponents. Move to an advantageous position, not allowing you to be pinned down or cornered, using your environment and cover to create a good defensive location. The situation may call for you to keep moving. Our natural instinct when we decide to fight is to root to the ground, so mentally get into the habit of moving. Moving may be more important at that point than shooting. Evaluate the threats to determine what their priority level is; each threat will represent a different value, and this may change as the situation unfolds. Determining the threat’s value is a lot more involved than just figuring out who is armed with what. 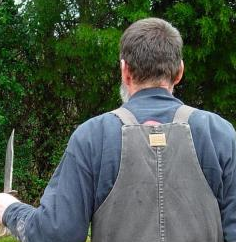 The guy with the knife may be more aggressive than the one with the pistol. Size may or may not be a factor. Some of the best, meanest fighters I’ve known would be completely overlooked unless you knew their history. They put a lot of hurt on many a big man. Also, remember bad guys are very well versed at hiding their intentions. There may be one decoy, attempting to draw your attention while the true threat is coming up from behind. There are a variety of theories when it comes to shooting multiple threats. Bill Jordan advocated that once you had “correctly identified your target, then lock on and keep with it.” In No Second Place Winner Jordan states “don’t switch as long as your original target is available without a very good reason.” This is good advice from a man who studied gunfighting seriously. The key point is “without very good reason.” Which means as soon as one threat is out you may have to immediately move against another. What we don’t know is when, where or who we may have to deal with, or if necessary how many shots will need to be fired to stop the threats. We do know that practice is essential to success. Space targets at various distances and angles. Work on targets of different size. Don’t get into a routine or range habit; mix up drills to make it difficult. Real threats are rarely lined up in a row in front of you and exposing the same amount of their body. 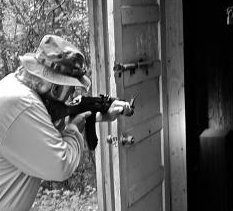 Run drills which require you to identify the threat. Not everyone will need to be shot. Every shot should be a good one. 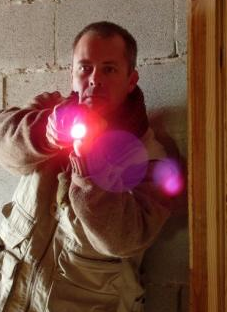 Practice in low-light conditions, which we know is where most fights occur. As with all matters of personal combat practice is essential to perform properly. Remember, there’s a difference between having “it” and knowing where “it” is. 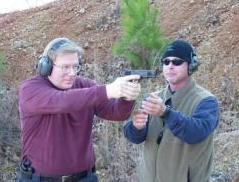 Training for personal combat, especially fighting with firearms is a costly, time-consuming process. Every avenue for improving your skills should be used, and one of the best methods for increasing your potential is mental imagery practice. Taking a few minutes to vividly imagine facing and defeating a threat allows you to practice almost anywhere and can dramatically increase your chances of victory. Find a nice quiet place, sit back, relax, and close your eyes. As vividly as possible, including input from all your senses, imagine you’re walking across a parking lot. It’s dark. You see cars pulling in and out of slots and people entering and exiting the store. The smell of exhaust fumes is in your nose. You hear a radio thumping out a tune as a truck passes. Suddenly you hear rapid footsteps coming from behind. Turning your head, you discover a man coming on you fast. He’s armed. There’s no doubt you are his target, and there’s no time to wonder why. You react, moving to create distance, drawing your weapon, and yelling at the threat to stop. He keeps coming, raising the knife he’s holding. 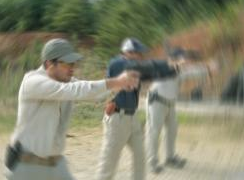 Your pistol comes up, you focus on the front sight and press off a shot. In your mind imagine the feel of the recoil, reacquiring the sight picture, resetting the trigger of the pistol and pressing off another round. The threat stumbles and drops. You continue to create distance and start scanning for any other possible threats. What is realistically imagined gets filed away into your memory bank. The mind can’t distinguish between what has actually happened as opposed to what’s been vividly created in your imagination. This bank provides us with a framework or source of reference to base our actions off when faced with a real threat. The situation you face may not be exactly what you’ve imagined, but it will be close enough for our mind to say, “O.K., we’ve been in this type situation before, and here’s what we need to do.” Retrieving this memory is the same as recalling something that has actually happened. This approach to training and practice can be used to improve any skills, from tactics to techniques. You can imagine reloading from on the ground on your side in the mud and dark. You can modify existing skills by imagining over and over a correction you want to make. You can even prepare yourself for something you have never before experienced. This isn’t a new technique; it’s been used for centuries. Any action that requires the mind and body to work together can be improved using mental imagery practice. This is a proven technique that works. Fighting is ninety percent mental, and your performance is based on your mind-set. Victory can be predicted. Being prepared is up to you. Nobody can do it for you. But it’s also something that can easily be accomplished. Take the time, use your imagination, and make sure when faced with an actual threat that you are ready.